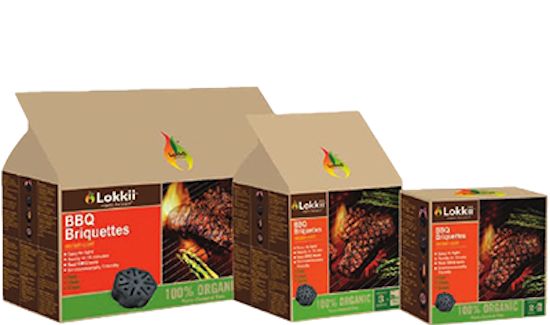 Lokkii's Instant Light Premium Briquettes are produced from a unique blend of Charcoal and Anthracite producing a longer burn with the real taste of Charcoal. No artificial fillers or artificial binders are used. 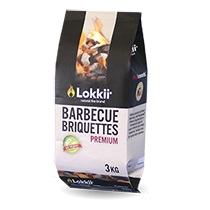 Lokkii's Instant Light BBQ Briquettes light from Lokkii's unique 100% organic ignition formula. 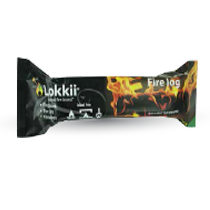 Lokkii Instant Light does not transfer a chemical taste into the food you eat! Q1. 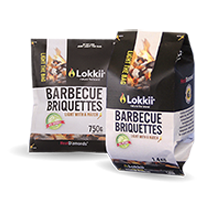 What is Lokkii® Instant Light Premium Briquettes composed of? 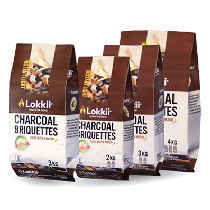 Lokkii® Instant Light Premium Briquettes is composed of carbon, charcoal and natural binders. The ignition formula is 100% organic. No artificial elements are used in the composition of the Instant Light Premium Briquettes. Q2. 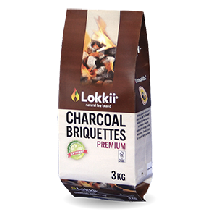 How healthy is Instant Light Premium Briquettes compared to traditional instant light charcoal? Traditional instant light charcoals contain cancer-causing agents such as petro-chemicals or nitrates that are used to ignite the briquettes. 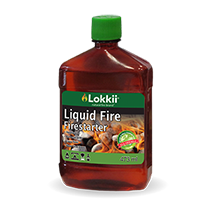 Instant Light Briquettes are ignited by 100% natural ignition formula. The formula has been extensively tested; tests prove the formula does not contain harmful chemicals that can transfer into the food you eat. Form a pyramid in the center of your grill, light the briquettes using a match or butane lighter, once the pyramid of briquettes is hot, spread the briquettes across the fuel mesh and you are ready to cook. Never put ignition fluids on the briquettes. Q4. 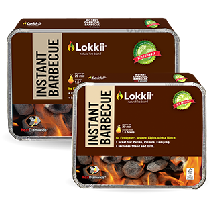 How long do I have to wait until the Lokkii® Instant Light Premium Briquettes are hot enough to begin cooking? 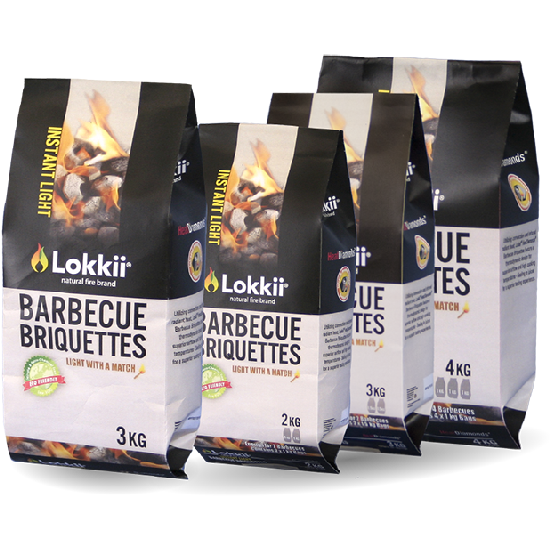 Lokkii® Instant Light Premium Briquettes is quick and easy to use, once lit you can start to cook in about 20 minutes. If you are cooking in a very cold climate, it may take a few more minutes, but in a hot climate you may be ready to cook in less time. Q5. 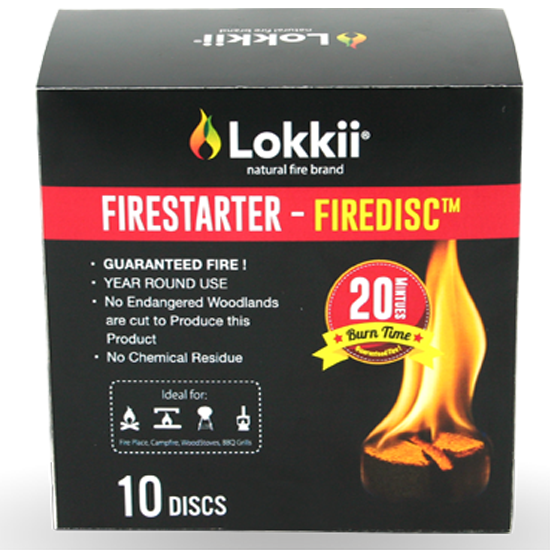 How hot does Lokkii® Instant Light Premium Briquettes burn? The unique patented shape of Instant Light Premium Briquettes burns >29MJ per kilo. The high temperature sears the meat, seals in the juices and grills the food to perfection. Q6. 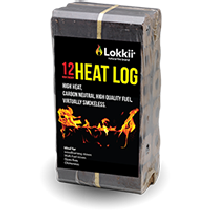 How long do Lokkii® Instant Light Premium Briquettes stay hot? 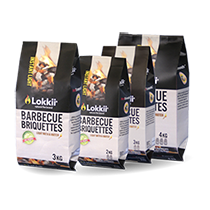 Once the briquettes are hot, depending on the BBQ you are using and the manner in which you are cooking, Lokkii® Instant Light Premium Briquettes will burn evenly and remains hot for 2-2.5 hours. First be absolutely sure that the ash/residue is completely cool. Then you can dispose of the white clean ash in nearby soil or a waste bin. Please note: if disposing into soil, different plants react differently to ash or various fertilizers. The ash is not harmful but may upset the requirements of certain species of plants.